Jefferson County Stream. Winter stream near Tarryall Reservoir in Jefferson, CO. Division of Wildlife. David Hannigan. Photo taken 4/25/2009. NOVEMBER 6th, 2017: Community Workshop 6pm-7:30pm at Steamboat Springs Community Center, Community Room West, 1605 Lincoln Ave. Workshop includes short workshop followed by participant discussion and input. 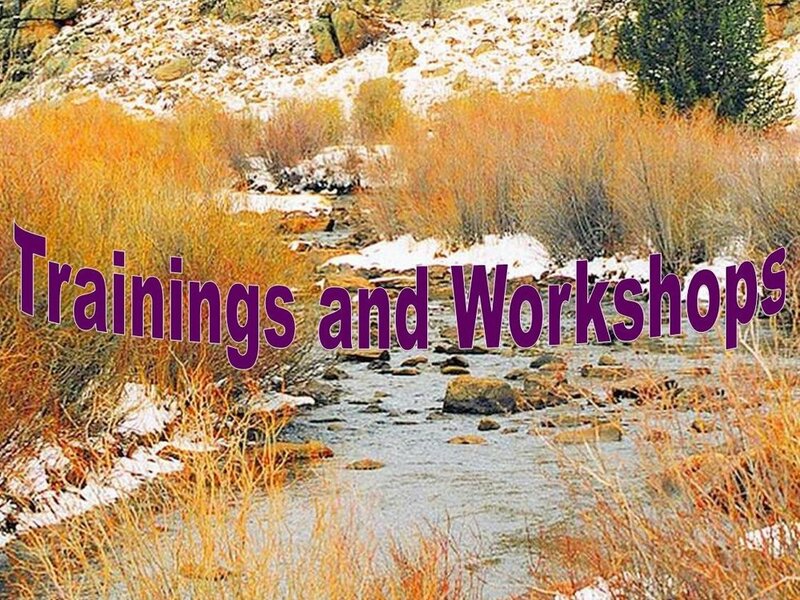 For more information contact Kelly Romero-Heaney, Water Resources Manager, at: kromeroheaney@steamboatsprings.net. NOVEMBER 8th, 2017: Stewardship Agreement Training Session #1: "Developing and Using Stewardship Agreements" During this session, Forest Service staff with Stewardship Agreement experience will provide insights into developing and using these agreements to attain land management and restoration goals. The target audience for this session is district-level foresters and wildlife biologists. For more information and to register, click HERE. NOVEMBER 16th, 2017: Stewardship Agreement Training Session #2: "Successful Use of Stewardship Agreements" During this session, Forest Service staff will present Stewardship Agreement case studies where partners were successfully engaged and where the benefits of using these agreements were tangible. The target audience for this session is district-level foresters and wildlife biologists. For more information and to register, click HERE.